Patricia Ann Lindeman was born March 12, 1929 in Lacona, Iowa to Ernest and Helen (Crawford) Fogle. She passed away on Wednesday, June 20, 2018 at the Legacy Lodge Hospice located in Chariton, Iowa at the age of 89 years. Patricia was raised in Lacona, Iowa, where her family lived in her younger years. She attended middle school in Hastings, Nebraska. She graduated High School in Chariton, Iowa. After high school, Pat was united in marriage with Keith Ewald Lindeman. To this union two children were born, Michael Keith and Jana Sue. Michael married Jackie Rundell of Foxfield, CO and Jana married John Powell of Windsor CO. Pat spent most of her adult life in and around Russell, Iowa. Pat enjoyed gardening and giving back to her community which included her time and contributions to the Methodist Church. She was a member of the Garden Club, Legion Auxiliary, and the Beta Sigma Phi Sorority. Pat served in the United States Postal Service for 24 years, of which many of those years, as the Post Master for Russell, Iowa. She was extremely proud of her grandchildren, Kristie Sue Lindeman, Phoenix, Arizona, Kimberly Ann Erhart, Steamboat, Colorado and Adam Gail McCullough, Loveland, Colorado. Her first great grandchild, Mason Keith Erhart delighted her with several visits. Pat was preceded in death by her parents, Ernest and Helen Fogle; her husband, Keith Lindeman; and her granddaughter, Kellie Lindeman. 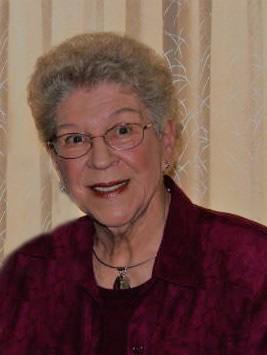 She is survived by her children, Michael (Jackie) Lindeman and Jana (John) Powell; her grandchildren, Kristie Lindeman, Kimberly (Dylan) Erhart, and Adam (Megan) McCullough; her great grandson, Mason Erhart and great grandson, Alexander Gail (arrival in mid-July); and her sister, Sandra Goltry of Osceola, Iowa.